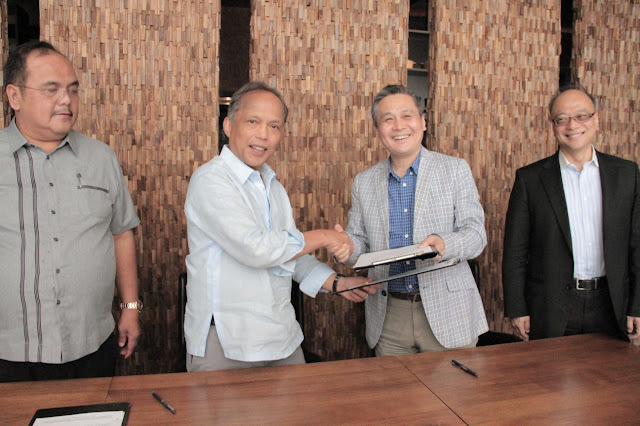 Department of Energy (DOE) Secretary Alfonso G. Cusi today declared the Alegria Oil Field in Southern Cebu to have commercial quantities of natural gas and oil resources. The pronouncement was made after the ceremonial signing of the Joint Declaration of Commerciality (JDC) between the DOE and the service contractor China International Mining Petroleum Company Limited (CIMP Co. Ltd.) on 14 March 2018 at the Hyatt Hotel-BGC in Taguig City. CIMP Co. Ltd. holds Petroleum Service Contract (SC) No.49, which covers the Alegria Oil Field. Signing the declaration along with Cusi was CIMP Co. Ltd. Chair Lam Nam, while DOE Undersecretary Donato D. Marcos and CIMP Co. Ltd. Chief Executive Officer Eric Lai served as witnesses. By 2016, the DOE and CIMP Co. Ltd. jointly established that the oil field contained commercial quantities of natural gas upon its discovery of oil accumulation in the adjacent hydrocarbon traps within the Alegria underground area. The DOE and CIMP Co. Ltd. discovered an estimated 27.93 million barrels of oil (MMBO) with a possible production recovery of 3.35 MMBO or a conservative estimate of 12% of total oil in place/reserves. For natural gas, about 9.42 billion cubic feet (bcf) reserves were found, with the recoverable resource estimated at 6.6 bcf or about 70% of total natural gas in place/reserves. Based on the development plan crafted after the initial testing, the natural gas and oil production of the field may last until 2037. The JDC outlined the roles and responsibilities of CIMP Co. Ltd., particularly its compliance with all conditions stated in the approved Plan of Development dated 19 December 2017.